We all know that beer goes really well with Pizza. Maybe it was those formative days in college where my Friday night ritual was to go to Little Ceasar's and grab a $5 hot-and-ready pizza. I'd then bring it back home where I would wash it down with some Natural Light (I know, before I knew about good beer). Well fast-forward a few years and I now really enjoy making my own pies. Anyone who knows my wife knows she has a garlic allergy. Yes, you can be allergic to garlic! This is very unfortunate, as garlic is found in almost all prepackaged sauces and items. 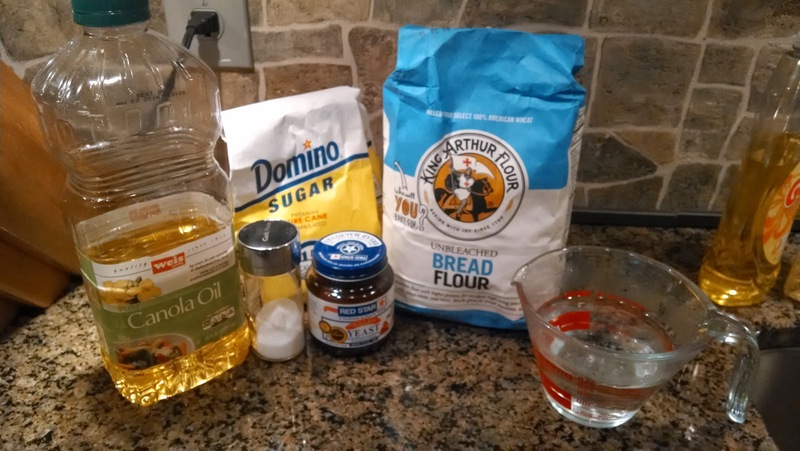 This is what started me in the quest to make tasty pizza, which was garlic free. 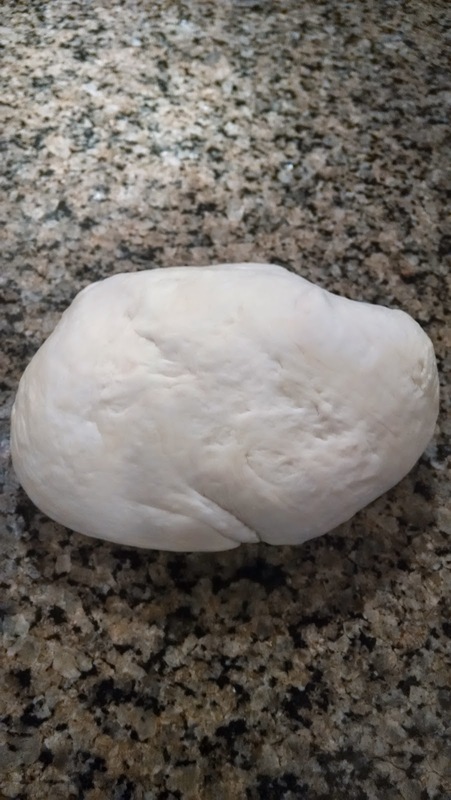 So today is Friday and I am presenting you with my process for making pizza! 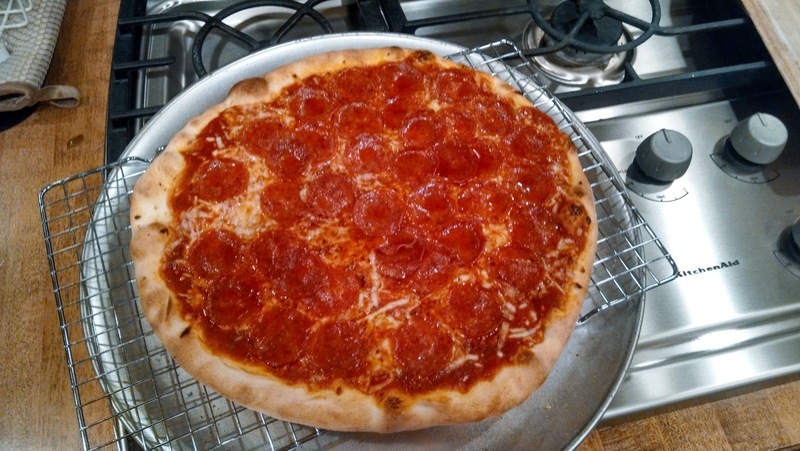 I can't take full credit for the interest in making pizza because that goes to my friend Josh. He got into it before I did, and he is much better and more precise. 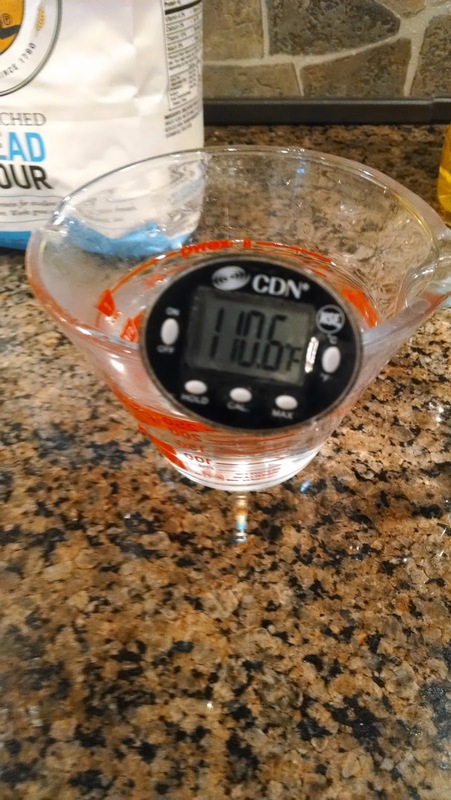 I also learned a little from the internet and got my recipe using this calculator, which I highly recommend. *Oil - I use around 2 to 3 "cap-fulls" of oil. I realize this is pretty vague but see instructions below. 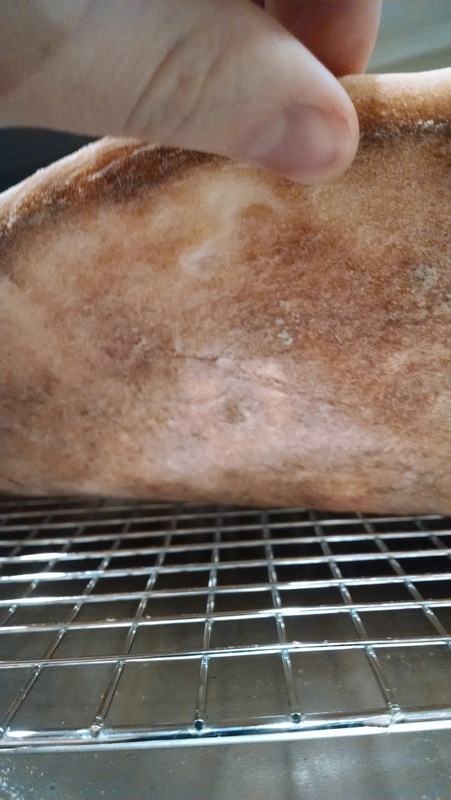 The more oil used, the more "chewy" the crust will be. 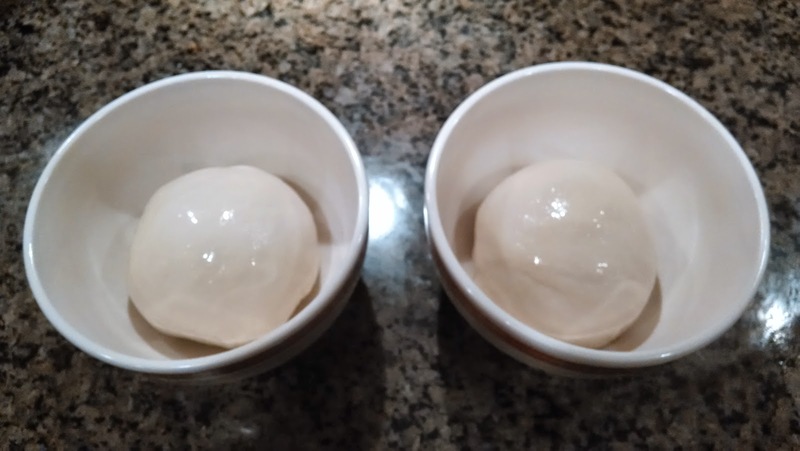 **At this point you can refrigerate for 24-48 hours, or freeze the balls. 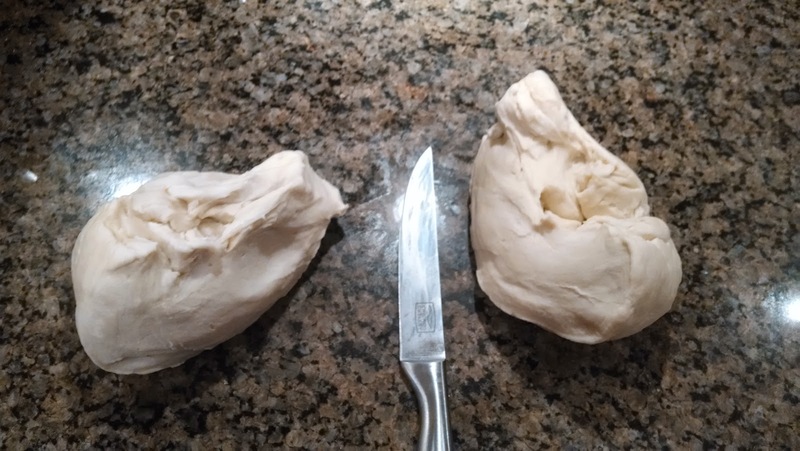 You just need to allow 2-4 hours of the dough at room temperature so it can rise prior to forming your pizzas. I am going to leave the rest of the ingredients up to you. We use hunts tomato sauce (does not contain garlic) and add a little oregano and sugar to taste. Josh takes cento brand whole peeled tomatoes and throws them into the food processor for a more natural tomato sauce. 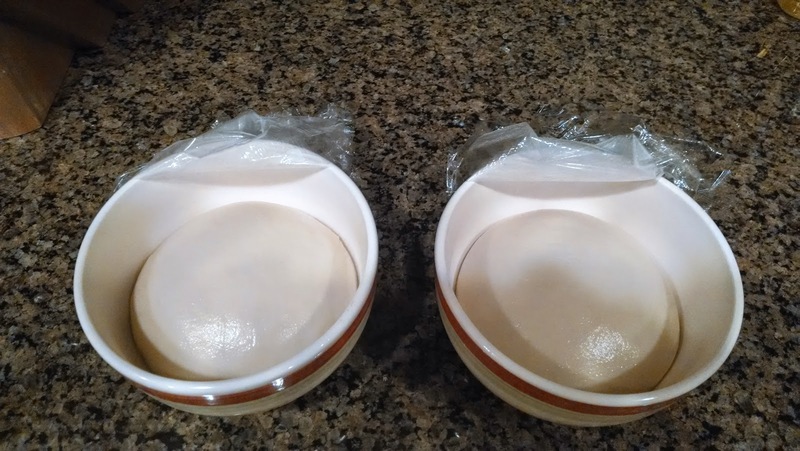 After forming your dough and placing it on a well floured pizza peel, spray it with cooking oil spray (PAM). 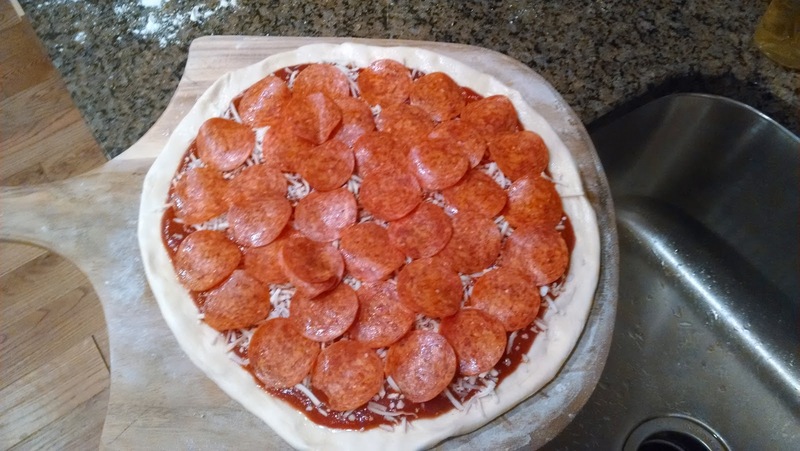 This is important so the sauce doesn't soak into the dough and the crust forms a nice golden brown color (I forgot to thoroughly coat the dough on the pizza with olives, pepperoni and jalapenos with oil and the crust didn't brown up - see below). Spread the sauce from the middle to the outer edges in a circular motion with a spoon. Add cheese and toppings. If the pie won't easily slide on the peel, lift up the edges and blow underneath. I do this all the way around until I can shake it back-and-forth easily. 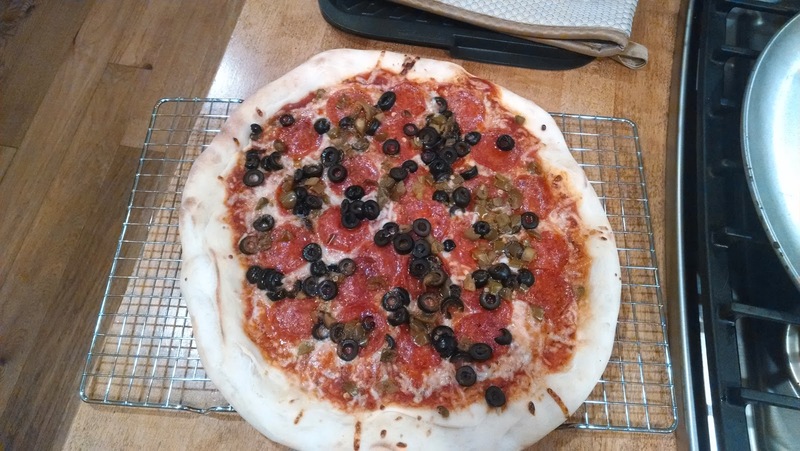 I then open the oven and slide it onto the hot pizza stone. You want your stone to be AS HOT AS POSSIBLE. My oven goes up to 550°. I allow it to heat up to that temp and then hold there for 15 minutes or so before placing my first pie on it. Baking should only take a few minutes. Cut, Serve, and Enjoy. Don't forget that homebrew to wash it all down with! 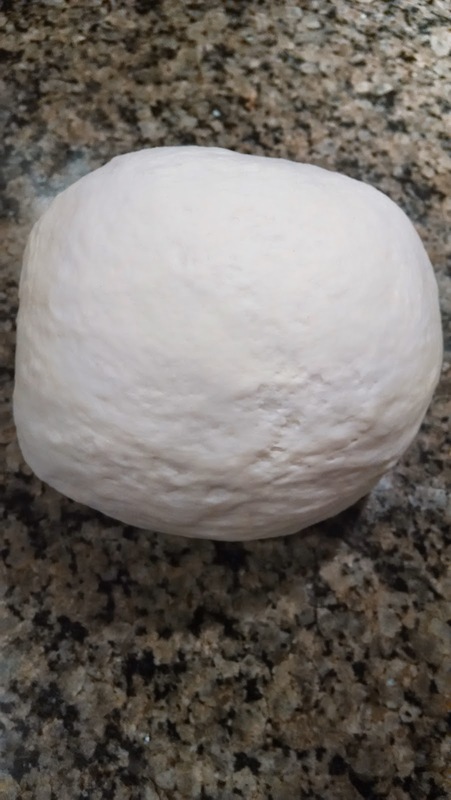 Do you ever make your own pizza? Let me know your tips and tricks in the comments below! ***After some thought and discussion with Josh, I will be making another post at a later date to discuss many more ingredient variables, intricacies, and discussion points. 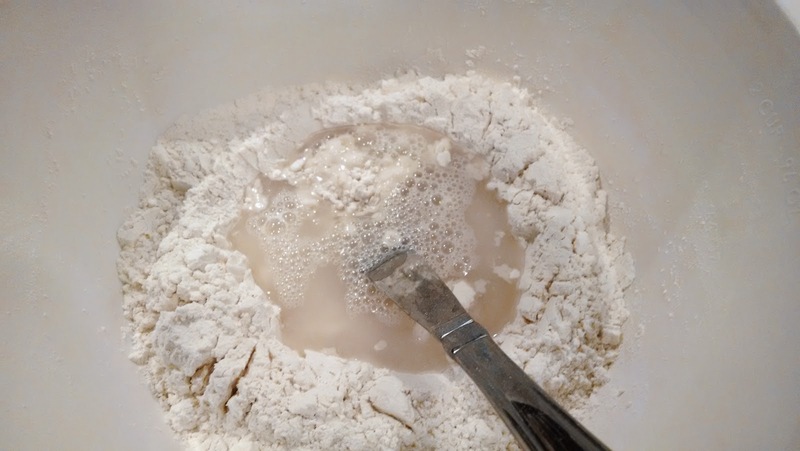 More power to you for kneading the dough by hand! I use my kitchen aid mixer to do all the work! Thanks! However, I will state that it is not by choice since we don't own a stand mixer. 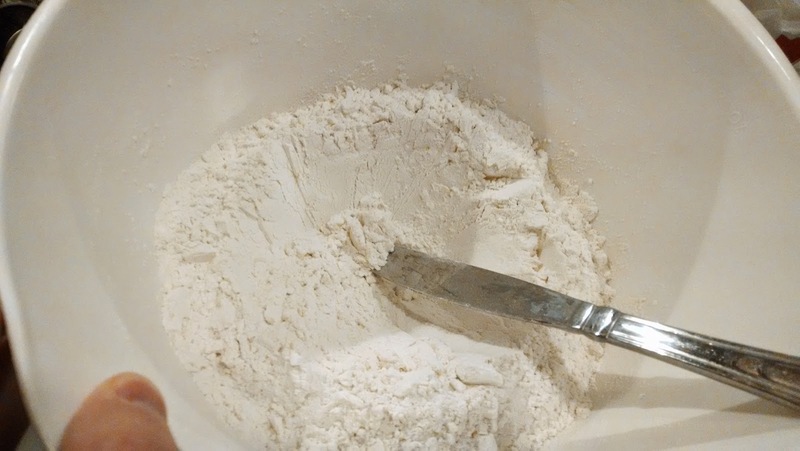 I know people who have used a food processor, but that can kill the food processor motor fairly quickly. Great. I am hungry now!